Dr. Mooney is an Associate Clinical Professor of Psychiatry at UCLA and Director of the UCLA Addiction Medicine Clinic. 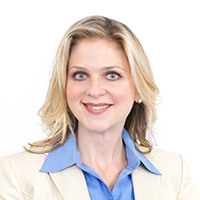 After obtaining residency training at New York University, she completed a fellowship in addiction psychiatry at Cedars-Sinai Medical Center in 2006. She is active in the American Academy of Addiction Psychiatry (AAAP), where she serves on the Executive Board of Directors. Since joining UCLA Integrated Substance Abuse Programs in 2007, Dr. Mooney has conducted research on treatment interventions for addictive disorders and has collaborated on community training initiatives to enhance understanding of substance abuse and concomitant psychiatric illness among mental health clinicians. Her interests include development of psychopharmacological and integrated treatments for addiction and advancement of substance abuse training for health care professionals.